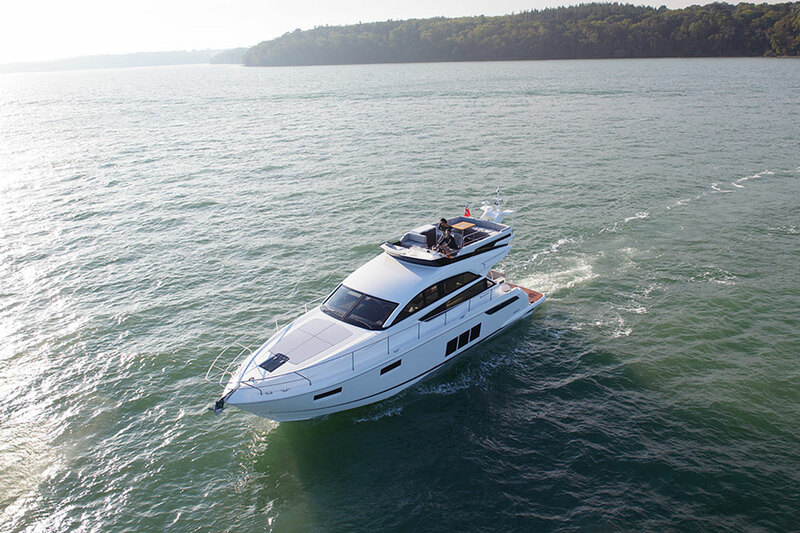 Fairline's new express cruiser goes with speed and style, plus the convertibility to expose anyone in the main cabin saloon and cockpit to the open air on a nice day. 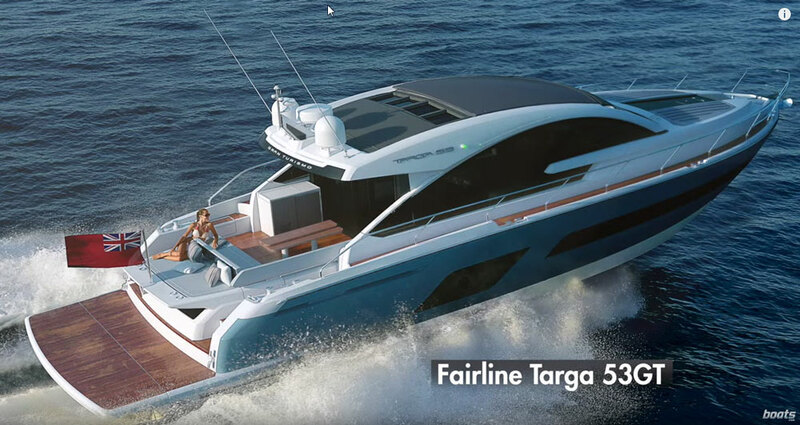 Electric-powered windows on cars and boats are nothing new, but the sleek-looking Targa 58 Gran Turismo, by Fairline, premiered at the London International Boat Show this weekend, has a whole lot more glass in motion than the average powerboat. 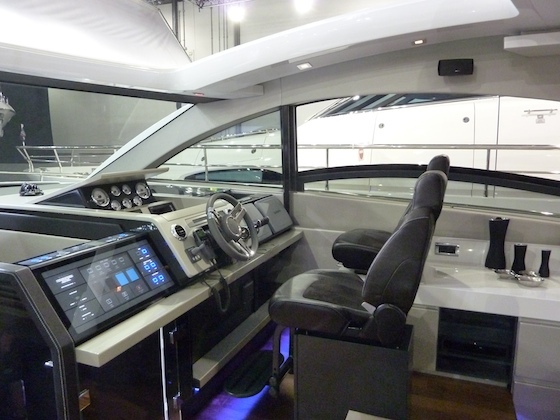 Not only does the roof open the cockpit area to the sky and put the driver and passengers in direct contact with the elements, but the single, long windows on either side of the deck saloon area go up and down at the touch of a button. 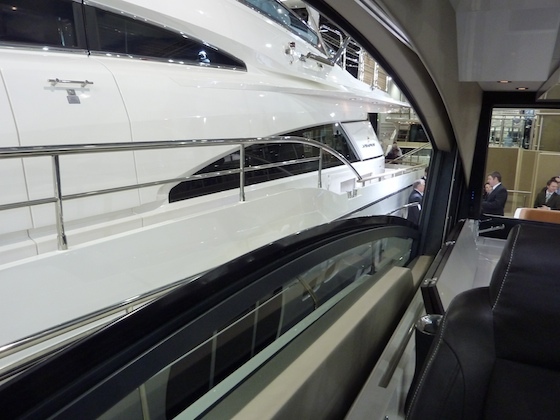 In addition, the aft end of the saloon can be sealed off as a series of sequentially operated doors close, protecting passengers from weather that's too wet, too cold, or too hot. 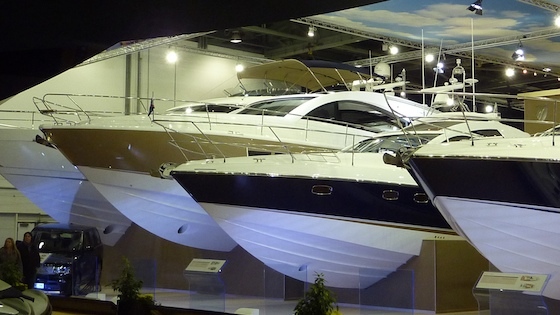 The new Targa 58 Gran Turismo (gold hull) lines up with other models by Fairline at the London International Boat Show. 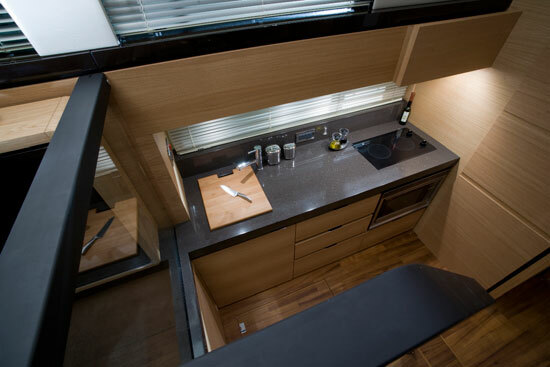 At 58 feet, the main saloon has plenty of space for comfortable lounging, a galley to the starboard side, plus a helm station equipped for pilot and co-pilot. 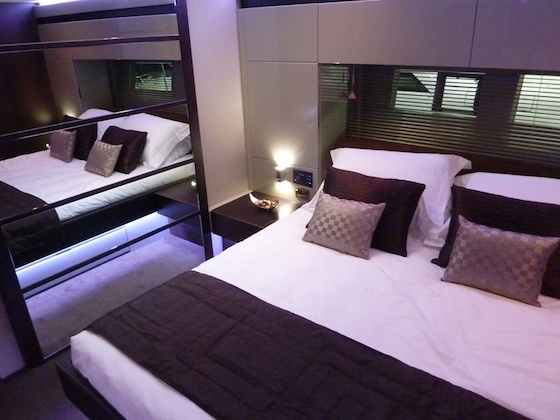 Belowdecks, the master is forward with a pair of staterooms aft, each with en suite head. 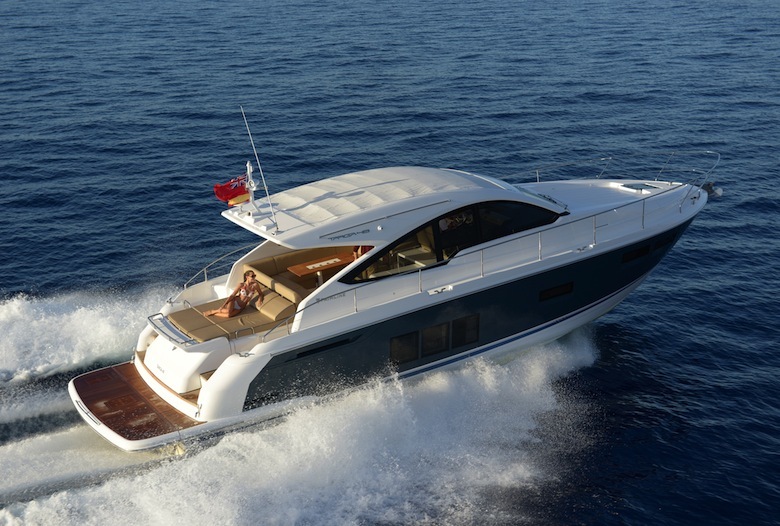 The helm station offers a plethora of controls and plenty of fresh air, on demand, the latter by retracting the roof. 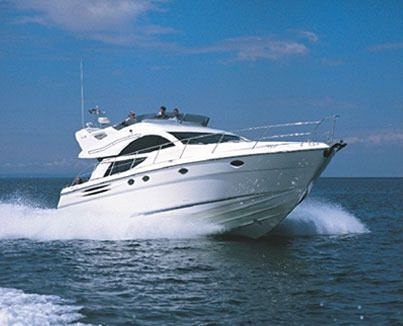 Note the front of the 3-meter starboard side window in lowered position. 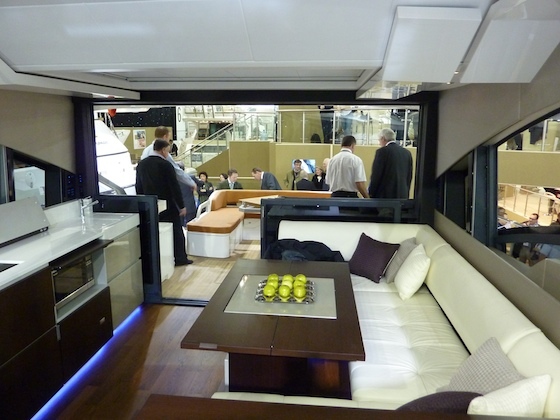 The doors at the aft end of the saloon pull out of the way (to the right) as the main deck continues aft to an al fresco dining area. 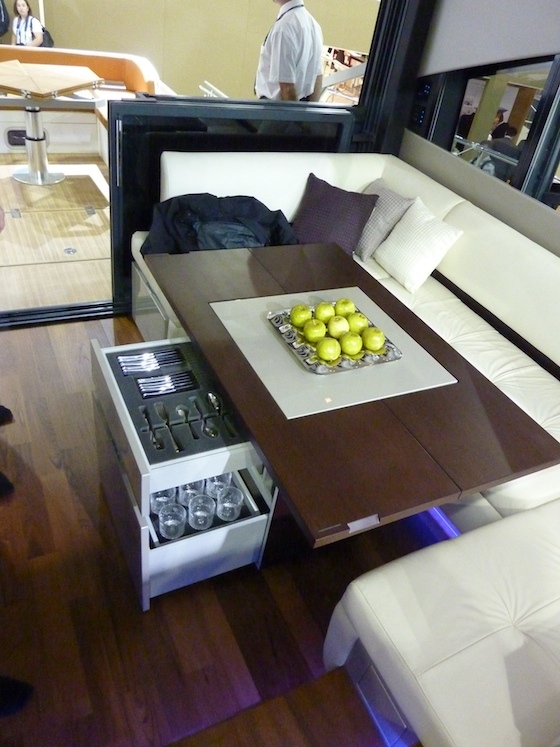 For dining in the saloon or on the aft deck, cutlery and glassware are readily at hand. The window powers down, and a blind can also be powered up to provide privacy at other times. Belowdecks, the master stateroom, laid out athwartships, has an en suite head forward of it in the bow section of the hull. 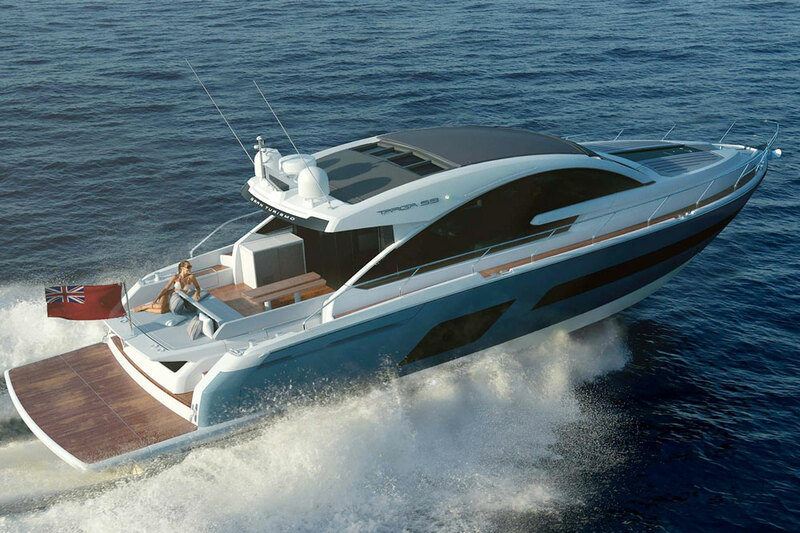 This new model is said to run at 30 to 38 knots on Volvo shaft-driven diesels, with top speed depending on engine selection. In my mind, this express cruiser would excel in variable temperature climates for any crew who didn't mind the wind in their hair; but if they did, the captain could easily close the windows and control the climate.